The main reason why I wanted to map HoC characters on Pakistani political celebrities is because of the grim and gores both American and Pakistani playfields of politics share. Ever since House of Cards (HoC) season three was released, I have been trying to create a list on how HoC would turn out if it were based on Pakistani politicians and, finally, my efforts have come to fruition. And to my surprise, the list has turned out to be more interesting than what I had expected. The main reason why I wanted to map HoC characters on Pakistani political celebrities is because of the grim and gores both American and Pakistani playfields of politics share. Also, I was inspired to make this because of the trials and tribulations innocent people face due to the filthy tactics and political manoeuvre done by the powers that be. However, the list below is just my personal opinion (and predictions) and it might not reflect the true state of affairs. Both share a dreadful storyline of a man who was used and then dumped on the way. While we can accuse Muttahida Qaumi Movement (MQM) to be the Frank Underwood in this scenario, the fact remains that people are used as pawns by political maestros who do not flinch even for a second before ruthlessly disposing them off. And this was why I felt that Mr Farooq and Peter Rosso share the same role. For both these characters, loyalty remains subjective to their own interests. While we see Jackie Sharp supporting Frank Underwood in becoming the next president of the United States (in season two), we also see her dark side when she throws Frank under the bus by supporting the opposition and later on leaving her presidential campaign to support Heather Dunbar – Frank’s rival. Similarly, in case of Marvi Memon, we have seen over the years how her stance has changed from her days at the Pakistan Muslim League-Quaid (PML-Q) to her short adventure with Pakistan Tehreek-e-Insaf (PTI) and then her latest shift to Pakistan Muslim League-Nawaz (PML-N). While some may argue that PML-Q and PML-N are two different poles altogether in their treads of politics, Memon has the capacity to negotiate her way through any agenda – just like Sharp. Perhaps the only difference between the two of them is that Zoe Barnes wasn’t as lucky as Hamid Mir when she was attacked. 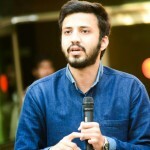 Journalists fall prey to political motives, and the case with Barnes and Mir highlight that, irrespective of whether you are in Pakistan or the United States. “Politics and business are intervened” – Raymond Tusk (season two). While not all business tycoons enjoy being a part of politics, they eventually have to become a part of this dirty game. Like Tusk, who had the president in his pockets in season two, Malik Riaz too understands the importance of having important political friends. His recent announcement of making the Altaf Hussain University in Hyderabad is an example of this. While people are calling him altruistic, others see this as a passage that guarantees the safe connections of Bahria Town with Karachi. Doug Stamper, personal secretary to President Underwood, is the man who keeps all the pipelines in check and keeps them clean as well. Without Stamper, Underwood would not have gotten as far as he did, which makes him an asset. Quite similarly, ever since Miftah Ismail has become the special adviser to Prime Minister Nawaz Sharif, we see him taking over a similar role. And while their approaches might be different, both can be seen defending their bosses at various platforms. The both share the story of being girls who were present at the wrong place, at the wrong time, with the wrong set of luggage. Both of them got stranded in the deep sea of politics whilst having little stake in it. And now things aren’t pretty at their end as those who used them are no longer there to support them. It is almost impossible for you to talk about House of Cards and miss out the ever-graceful Claire Underwood. It is quite an arduous job to find a female politician of such stature in patriarchal Pakistan. However, Sherry Rehman seems like a perfect fit, given her recent unopposed appointment as a senator. The grace with which Claire Underwood vocalises her thoughts is quite similar to Rehman’s style, as she too has been very vocal about the social issues in Pakistan. Also, since both of them have been ambassadors in different capacities, this makes their link even stronger. If you know who the Frank Underwood of Pakistan is, just think about all the people and institutions whom you can’t criticise. From the corrupt politicians to compromised higher-ups, you can find Frank Underwood everywhere in your ranks. In Pakistan, some voices will be gagged when higher ranks or better jobs are thrust their way in exchange for their loyalty, whilst others will be silenced when they are deprived of jobs they deserve. Some voices are bought and if not that, they are simply killed. And all these are signature tactics of Frank Underwood. 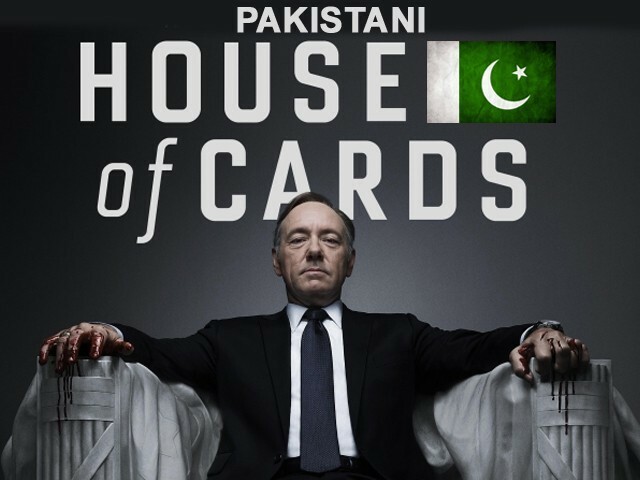 Combining House of Cards with Pakistani politics has made me realise exactly how much we need to work on our systems and our governance. While I believe societies cannot change their course over night, I do pray for a more tolerant Pakistan for all of us. I urge you all to identify whom you can not criticise within the corridors of power. It is only then that we can come up with a solution. Mubashir Luqman, why can't you appreciate something good? Agreed on Raymond risk and to an extent rachel posnor. Jackie sharp was much smarter than marvi memon. Maulana fazlu is jackie sharp. Zoey barnes and hamid mir very close too.